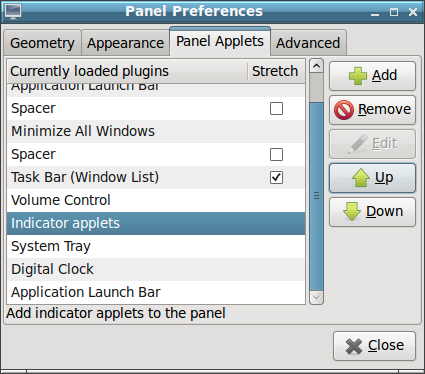 tl;dr: Remove "Indicator applets" from your panel. I've been using Ubuntu on my netbook for a while. With things getting crazy with recent versions of Ubuntu and GNOME, however, I find myself not wanting to stay with Canonical's Unity and rather keep a classic desktop-like interface to my netbook. 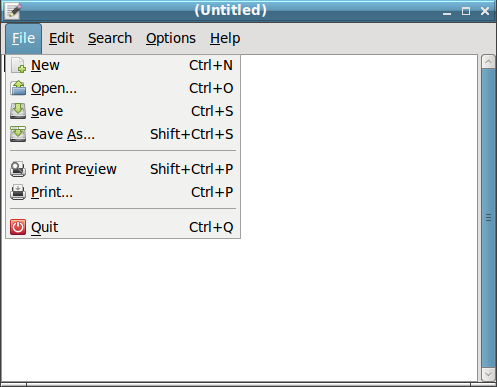 The easiest way to do this, I figured, was to simply use another version of Ubuntu. KUbuntu was already out; I'd tried a live CD of it on another system and it didn't seem ready to me, nor did I like the direction they were going. It's not that it's bad, it's just not my style. Okay, so that leaves a few other editions to try out, like XUbuntu and LUbuntu. Since I was already familiar with XFCE (XUbuntu), I decided to try out LXDE (LUbuntu) first to see if I'd like it. It's pretty nice, but at some point I noticed something was off - I don't know if it was always like this and I hadn't noticed, or it happened after an update - and that is that my menubars were gone! 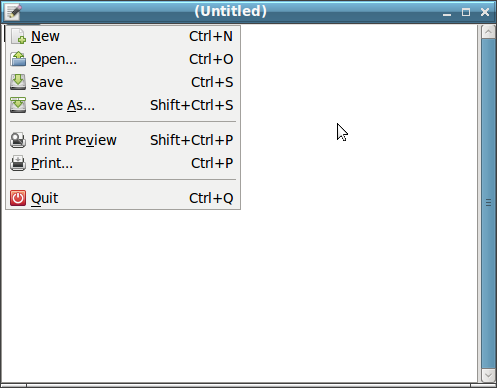 In some cases I could call them up with Gnome's hotkey for that - default F10 - but it didn't work with certain apps (naturally, didn't work with KDE apps, for example). This didn't cause the bars to show up, just for the menus themselves to, so it was at best a workaround and not a good one at that. I noticed at some point that whenever the panel crashed and reloaded, I briefly had menubars showing up. I couldn't pin it on a particular item at the time, so I figured that was just a side-effect; That some other service in relation to the panel was causing the issue. I searched high and low, and repeatedly blamed Ubuntu and GNOME for it... but it turns out it's one of the Unity additions that was doing it. In relation to the panel, indeed! Now I just need to pick a theme with smaller menu bars.